Can greatly influence your metabolism to promote weight loss. Improve your overall mood and bring clarity to the mind. What Are Bhastrika Pranayama Breathing Exercises? The Sanskrit translation for Bhastrika is “bellows”. A bellows is a device that has an air bag with two handles, and it is used to blow large amounts of oxygen onto a fire. When more oxygen is introduced to a fire it causes a faster combustion rate to occur, while producing more energy in the form of heat. So if you can imagine, your abdomen is acting just like a “bellows” in the sense that it is pumping more oxygen on to our “internal fire”. We are then creating the same type of reaction that can be seen with an external fire. How Are Bhastrika Pranayama Breathing Exercises Great For Boosting Metabolism And Promoting Weight Loss? In essence, when we add more oxygen to our “internal fire” in the body, we spark a faster “combustion rate” within the body, which translates to a faster metabolism rate. A bi-product of the higher combustion rate within the body is more heat, or more energy. If your someone whose Ayurvedic dosha happens to be Kapha, or water oriented, these Bhastrika Pranayama breathing exercises are great for bringing more balance to your Kapha type of energy. On the other hand, if your someone that has a Pita dosha, you may already be prone to generating lots of heat in the body. Therefore, these Bhastrika Pranayama breathing exercises may cause some excess heat for those that are a Pita dosha. How Can These Bhastrika Pranayama Breathing Exercises Improve My Overall Mood? When we practice these Bhastrika Pranayama breathing exercises we oxygenate all the organs in the body. This is especially beneficial for the brain, and improves cognitive functioning while bringing more energy and clarity to the mind. These Bhastrika Pranayama breathing exercises are very helpful if your mind is feeling a little “cloudy”, or if there seems to be some sort of confusion occurring in the mind. When practicing these exercises it can greatly assist in purifying the mind of any excess clutter. Do this first thing in the morning on an empty stomach. Begin by inhaling fully through both nostrils and exhaling forcefully out the nostrils. Use your abdominal muscles to push the air in and out of the lungs just like a bellows. Keep repeating this continuously for around 20 – 30 reps. You can use mala beads or fingers to count. You may feel heat in your body and a tingly sensation around your head. This is a sign of energy building up inside. ADD ON: You can also perform a breathold at the end of the reps, by letting all of the air out of the lungs and making a “hissing” sound. Hold the breath here for as long as you feel comfortable or just past the body’s initial reaction to breath. ADD ON: You can also add an additional breathold when you take your next breath in, while squeezing your pelvic floor muscles and sending the energy up to the brain. There are two main differences between Kapalbhati and Bhastrika breathing exercises. The Bhastrika Pranayama breathing exercise engages a majority of the chest and lung cavities, while the kapalbhati Pranayama breathing exercise focuses on the stomach. The other difference is that both the inhalation and the exhalation are forced when practicing Bhastrika, while only the exhalation is forced when practicing Kapalbhati. 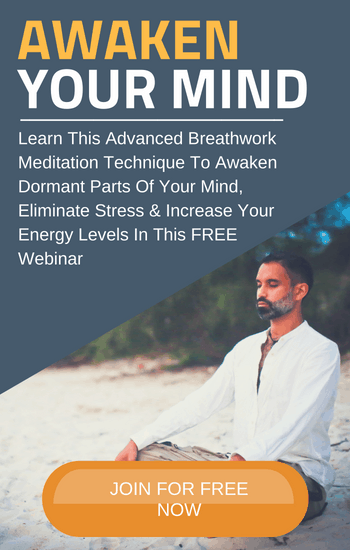 If your looking for a little boost to your metabolism, or you just want a little clarity in the mind, give these Bhastrika Pranayama breathing exercises a try. You write: There are two main differences between Kapalbhati and Bhastrika breathing exercises. The Bhastrika Pranayama breathing exercise engages a majority of the chest and lung cavities, while the kapalbhati Pranayama breathing exercise focuses on the stomach. Yet the instructions accompanying your photos for the technique – which you have also called Bhastrika – are focused around using the stomach. No mention of chest, rib cage or upper lung cavities. This sounds more like Kapalbhati to me. Can you please clarify?